Q: The documents I received illustrate late Bishop Moreno's struggle, and often frustration, to have the cases of Trupia and Teta resolved. This is new information for the public here. In one impassioned letter, he pleads with then-Cardinal Joseph Ratzinger to expedite the case and urges him to consider that the matter has "already gone on for seven years." There are similar pleadings in the case of Trupia and Moreno's correspondence with the Congregation for the Clergy. In reviewing the documents and reflecting on Bishop Moreno's legacy, please provide your own insights as far as this is concerned. Were Bishop Moreno's frustrations warranted? A: Michael Teta was put on administrative leave in 1989 and suspended in 1990 by Bishop Manuel Moreno after reports that he had used the Confessional to solicit sexual favors from adult males. In 1990 Bishop Moreno wrote to Pope John Paul II asking for direction on how to proceed in response to these serious allegations. The Apostolic Nuncio wrote in response that Bishop Moreno should begin a canonical trial related to these allegations. Between 1990 and 1997 the Diocese of Tucson had responsibility to complete the canonical trial. During this time there are several letters from the Congregation for the Doctrine of the Faith (which had competency in this matter because it related to the Sacrament of Penance) urging Bishop Moreno to expedite the canonical trial. Bishop Moreno wrote in response that the elongation of the trial was caused by the slow accumulation of evidence, the time necessary to interview witnesses and a lack of local canonical expertise. Finally, judgments against Michael Teta were rendered in that trial in 1997. Immediately afterward, Bishop Moreno wrote the letter to Cardinal Joseph Ratzinger noting the length of the trial in this Diocese and asking his help to expedite the case in Rome. The frustration that you can sense in that letter, when put in the context of the delays experience in our Diocese, clearly refers to the challenges of getting the case resolved locally and did not refer to a frustration with the Congregation for the Doctrine of the Faith. Michael Teta, through his canonical lawyer, appealed the decision of the court in the trial on the grounds that he was denied his right to a defense. From 1997 to 2003 that process of review and responding to appeals by Michael Teta's canonical lawyer took place. It was resolved when the court of second appeal concluded that Michael Teta was not denied his right of defense and that the decision to remove him from the clerical state should be upheld. We received the final degree of laization for publication in 2004. Three things need to be understood: First Michael Teta was suspended in 1990 told that he could not perform any ministry, wear a clerical collar, or present himself as a priest. That suspension remained in effect throughout this time period. He did no ministry, had no assignments. By canon law, he was entitled to continue to receive sustenance during the time before a decision was rendered to remove him from the clerical state. This is not unlike what would happen if someone were put on administrative leave while an allegation was being investigated. While frustrating to many people, the need for sustenance is required by canon law. Secondly, while an allegation against Michael Teta of sexual misconduct with a minor came forward in 2000 which was alleged to have occurred in 1978, this allegation was not a part of the case reviewed by the Congregation for the Doctrine of the Faith. Third, the Diocese has not received and is not aware of any accusations against Michael Teta after his suspension in 1990. In conclusion, it is clear from the record that the Congregation for the Doctrine of the Faith did not delay the process, but in fact urged the Diocese on in bringing the canonical trial to a conclusion. With regard to Robert Trupia, he was suspended by Bishop Moreno in 1992. From that time on, he was never able to present himself as a priest, wear a clerical collar or perform any ministry. We are not aware of any allegations against him that occurred after his suspension. When our Diocese became aware that he was performing some canonical work for another diocese, we immediately informed that diocese of his situation. There is a great deal of correspondence, beginning in 1992 from Bishop Moreno, urging Robert Trupia to go for an evaluation, but he refused. 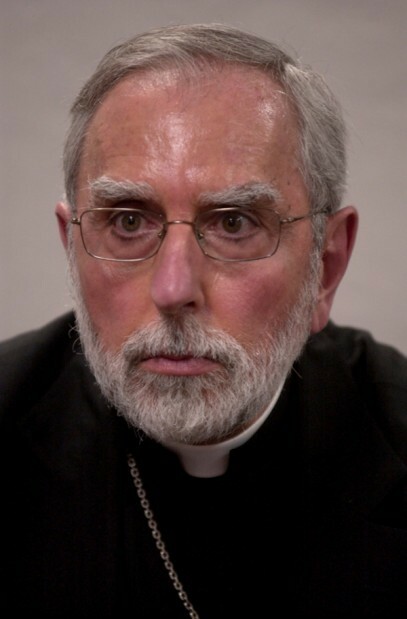 Robert Trupia wrote to the Congregation for the Clergy (which had competence at that time in matters of sexual abuse of minors) in 1993 indicating that his rights were not being respected. Being a canon lawyer, Robert Trupia used every means possible to delay any action in his case. Clearly, Bishop Moreno was frustrated by the delays initiated by Robert Trupia and his lack of cooperation. The delays in this case were substantially the result of Robert Trupia manipulation of canon law and not a slow response from the Congregation for the Clergy. In 2001, Pope John Paul II decided that all cases of sexual abuse of minors should be dealt with by the Congregation for the Doctrine of the Faith and no longer with the Congregation for the Clergy. The Pope also approved an administrative process that could remove a priest from the clerical state with a canonical trial and without appeal. In 2003, in my ad limina visit along with Bishop Moreno, I made a visit to the Congregation for the Doctrine of the Faith, which had only recently received competency in this area, to personally raise the question of Robert Trupia and to make sure that the matter before the Congregation for the Clergy was in their hands. The Congregation for the Doctrine of the Faith responded immediately that I should send them a full accounting of the allegations against Robert Trupia and that they would proceed promptly to seek an administrative decision by the Holy Father to remove him from the clerical state, a decision that could not be appealed. That decision was rendered in 2004. Clearly, the Congregation for the Doctrine of the Faith acted expeditiously, understanding that they were dealing with a significant number of cases from many dioceses. During the period from 1992 until 2004, Robert Trupia did receive sustenance as required by canon law. Neither Robert Trupia nor Michael Teta receive any sustenance now from the Diocese. Q: I understand that under canon law, the process of appeals can drag on for a long time. Would this still be the case today? Please explain. Do you personally think it took too long for the cases of Trupia and Teta to be resolved, considering the seriousness of the accusations against them and the cost to parishioners? A: Unavoidably, criminal cases in our civil system of justice and canonical trials in the Church, because of the need to respect the right to due process, can take a long time. While clearly I would wish these processes could have progressed more rapidly, especially because people had been harmed and rightly wanted closure, nevertheless justice requires care and attention to the rights of all involved. Q: Do you think then-Cardinal Joseph Ratzinger handled the cases well as far as the Diocese of Tucson is concerned. Why shouldn't I draw the conclusion that Ratzinger's office significantly delayed resolution of the Teta case, considering the documents I have before me? A: Pope John Paul II's decision to transfer the competency for dealing with allegations of sexual abuse of minors by clergy to the Congregation for the Doctrine of the Faith and his granting of an administrative removal of a priest from the clerical state have been immensely helpful to our Diocese in resolving these difficult situations. In my mind after a review of the documentation it would be inaccurate to suggest that Cardinal Ratzinger's office delayed resolution of the Teta case. In fact, the office sought to expedite the case. Finally while this has certainly been a painful and tragic chapter in the life of the Church, I am confident that action has been taken in this Diocese to provide safe environments for children and vulnerable adults. When I met with victims they told me emphatically that even though I could not change the past and what happened to them, I need to put in place policies and procedures that would do whatever is possible to assure that children are safe. Now, we report every allegation of sexual abuse to civil authorities. We screen all personnel and volunteers. We educate children and parents in child abuse awareness and prevention and we have enhanced our systems of supervision.